Many of you are already familiar with Microsoft Teams, the Office 365 hub for team collaboration that integrates the people, content, and tools your team needs to be more engaged and effective. 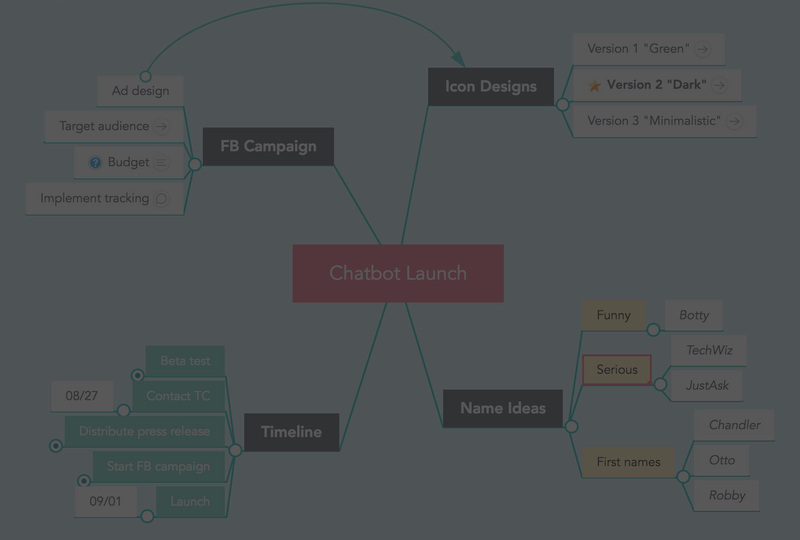 But did you know that Microsoft Teams also has a powerful collaborative mind mapping feature? This integrated tool from MindMeister can help you visualize ideas and create plans with your team members, all in real-time within Microsoft Teams. For those unfamiliar with mind maps, a mind map is a simple and effective way to brainstorm thoughts and ideas organically without worrying about order and structure1. Mind maps allow you to visually collect and display all the important information around a topic on a single page, making it easy for you to review and update key points. 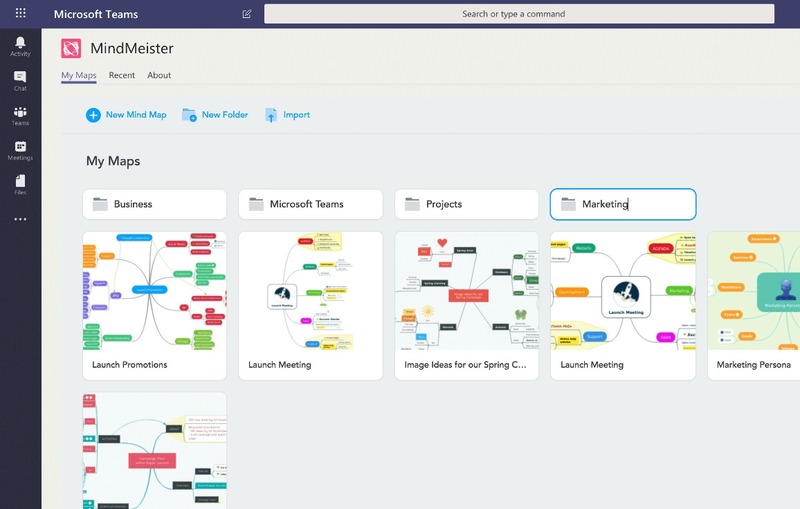 And with MindMeister for Microsoft Teams, you can create and collaboratively edit your mind maps right inside your Microsoft Teams channels. This integrated ability enables you to organize and manage all your mind maps without having to switch between different tools. In other words, you can take notes, brainstorm ideas, visualize project plans and outline strategies while you’re discussing the details with your team members in the chat…. all within Microsoft Teams2. Ready to Get Started with Microsoft Teams? 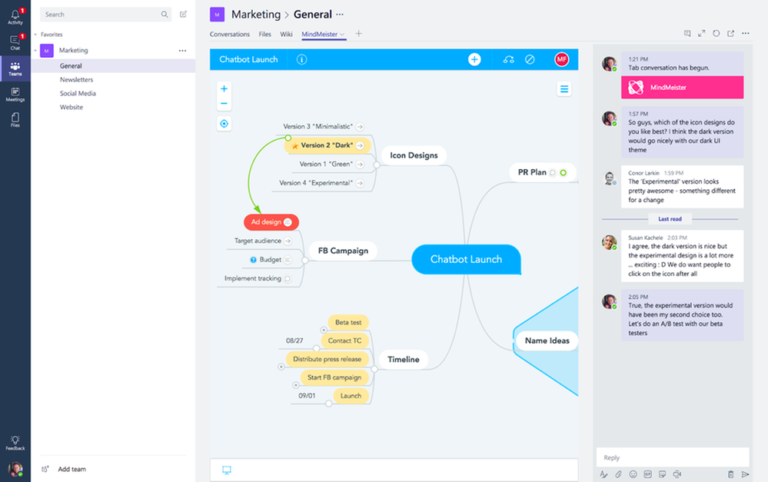 There are so many great benefits of Microsoft Teams, and the integrated mind mapping capability from MindMeister is yet another example of just how powerful Microsoft Teams can be. If you are ready to get started with Microsoft Teams, just know that our Imaginet Teams experts can help. To find out more, schedule your free consultation call with Imaginet today.